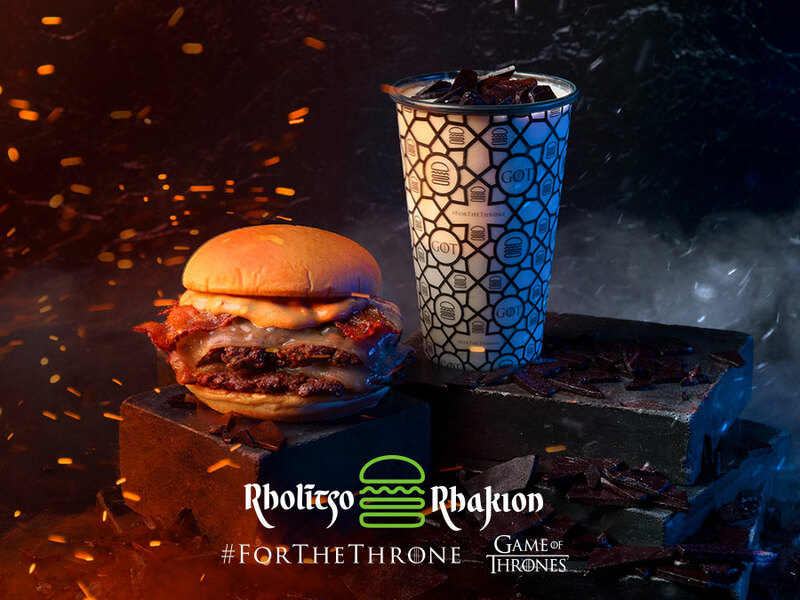 The limited-edition menu, which includes a Dracarys Burger, is available at the Madison Square Park location. 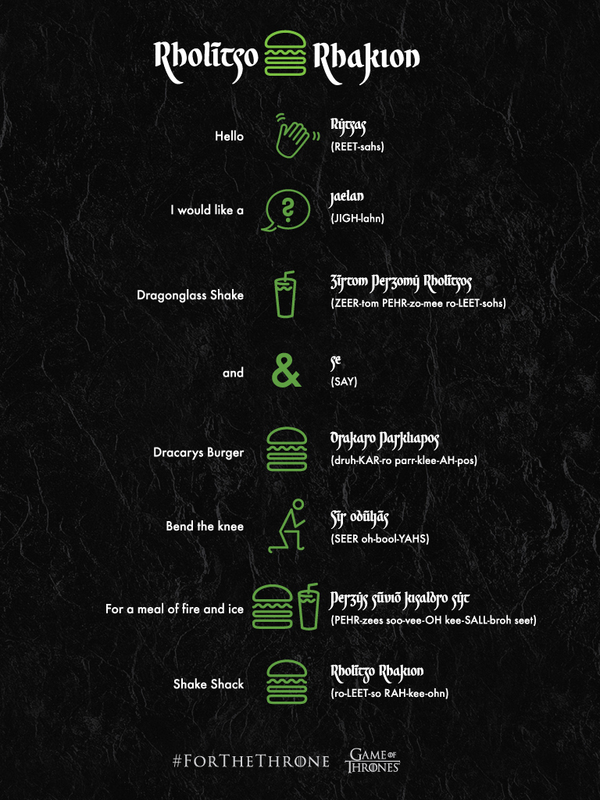 If you’re a New Yorker and love Game of Thrones, stop what you’re doing and head to the Shake Shack at Madison Square Park—a "secret" GOT menu launches exclusively there today ahead of the season eight premiere. The restaurant’s Innovation Kitchen, located in the West Village, has created a limited-edition burger and milkshake for fans of the show, inspired by the juxtaposition of fire and ice—the only catch? You have to order everything in Valyrian. Thankfully, Shake Shack (aka Rholītso Rhakion) drafted up a translation and pronunciation guide to help you out. The shake and the burger are available for $6.79 and $10.99, respectively. If you want to try them out, act fast—the burger will only be available through April 21, and the shake will stick around until May 19, "while supplies last." If you’re not anywhere near New York, don’t worry—several other food brands are pumping out themed products, including Oreos and Mountain Dew. When April 14 rolls around, you’ll have plenty of snacks for your premiere party.